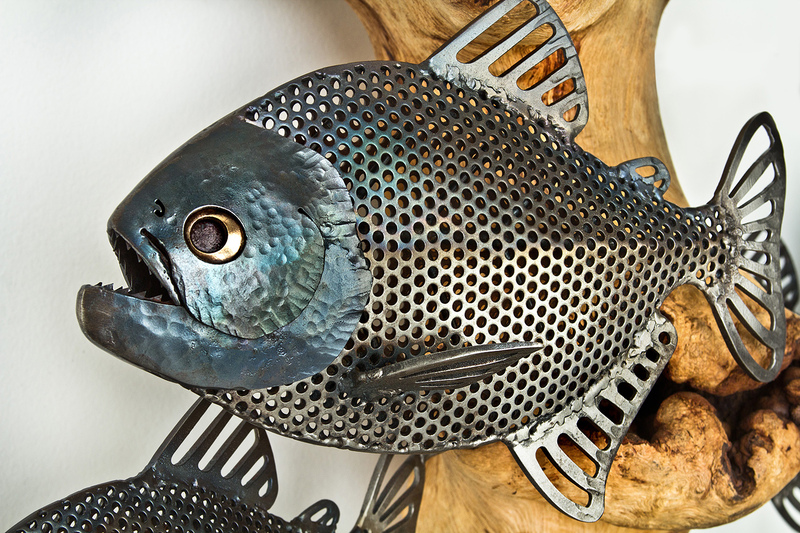 Piraña are generally thought of as voracious killers, well known for their feeding frenzies. 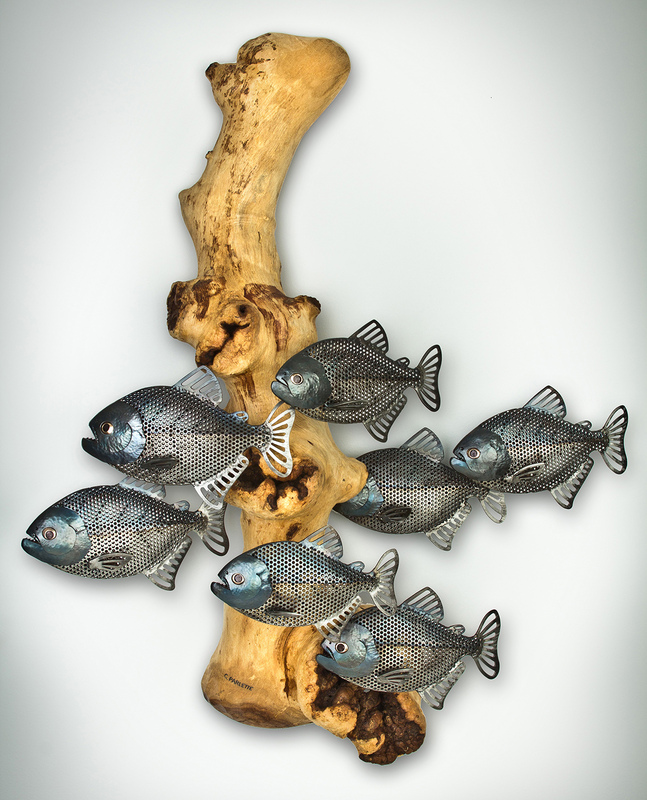 In reality they are very complicated, fascinating fish, with different species found all over the Amazon river system. 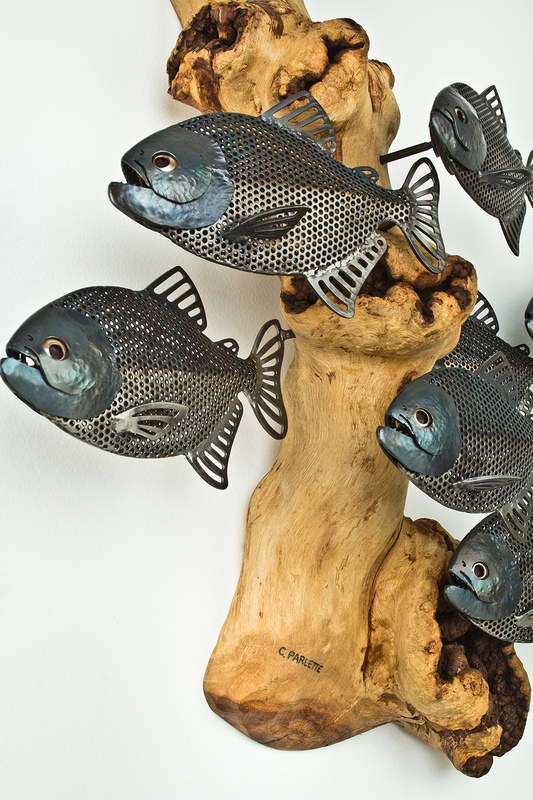 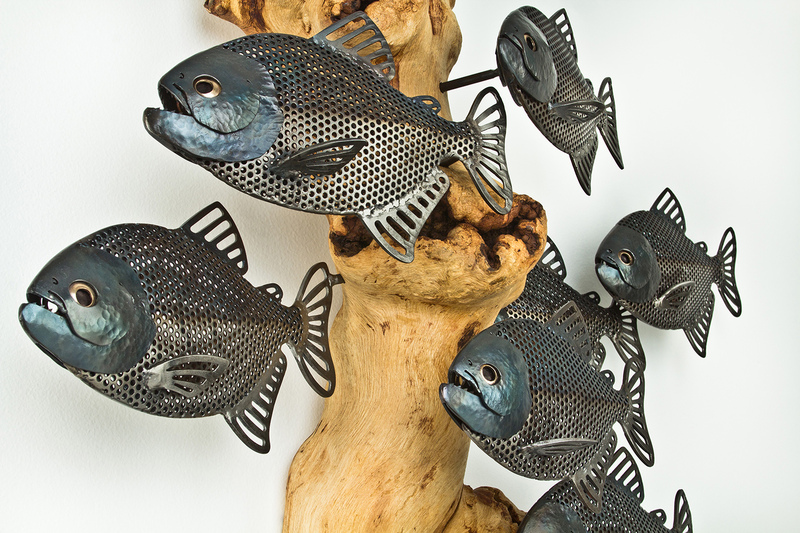 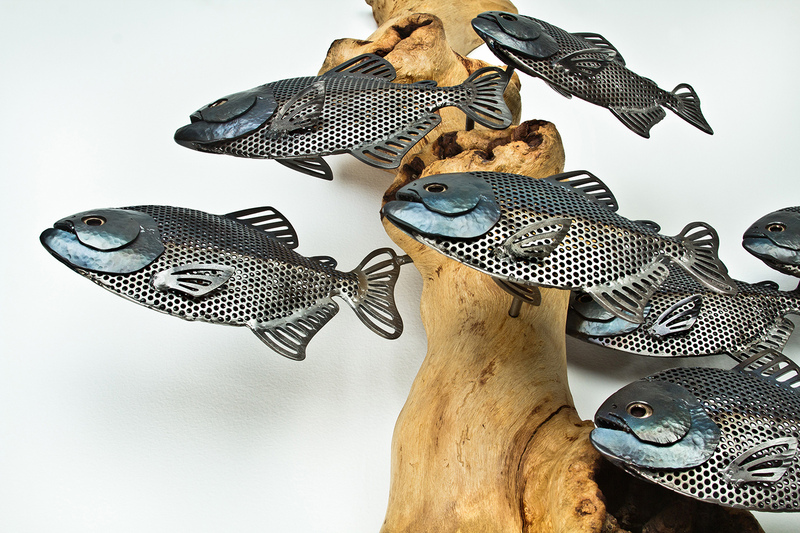 Instinctive portrays a school of piraña, hammered and welded of steel, schooling around an object as they would in the lakes and rivers where they’re found. 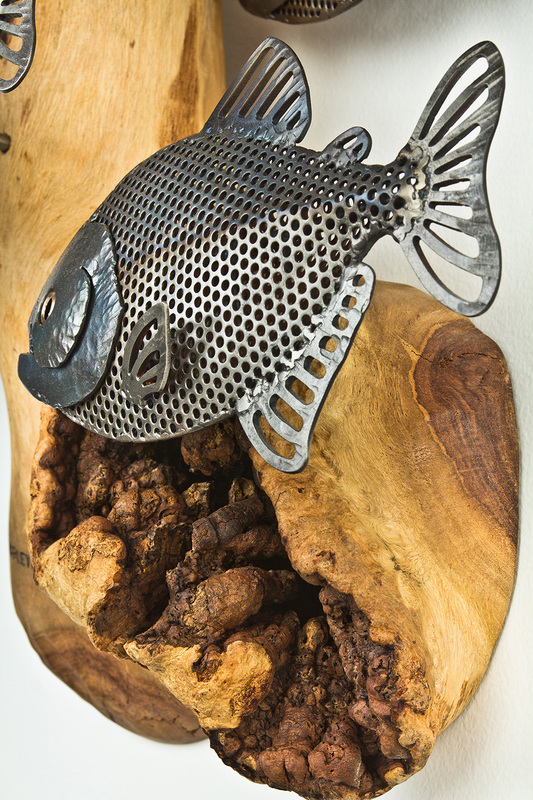 The base is a piece of natural shihuahuaco wood from the Amazon.